VF Corporation, the holding company of outdoor brands such as The North Face, JanSport, Smartwool and others, announced yesterday that it would be moving its headquarters from Greensboro, North Carolina to the Denver Metro Area in a move that will bring 800 high-paying jobs to Colorado. 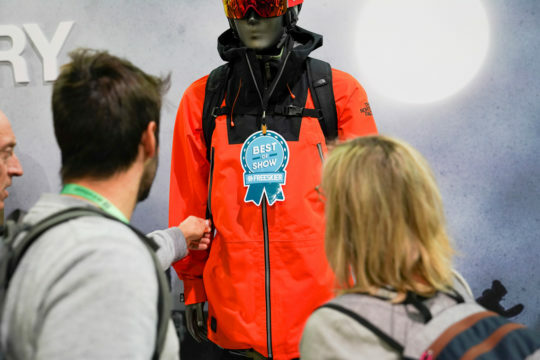 Denver’s ever-growing population of avid outdoor consumers make the switch an obvious choice and news comes in the same year that the thrice-annual Outdoor Retailer trade show, at which VF and its brands are key players, also moved its conventions to Colorado’s largest city. VF employees from the Greensboro headquarters will be the first to make the move to the metro Denver area, while a two-year plan will steadily relocate staff from The North Face, Smartwool, JanSport, Eagle Creek and Altra to the Front Range. The post VF Corporation, holding company of The North Face, Smartwool, JanSport and others, will relocate its global headquarters to Denver appeared first on FREESKIER.